Nestled in the beautiful coastal foothills of Sonoma County, California, Lake Sonoma is surrounded by world famous vineyards and land that is rich in history. Created by the construction of Warm Springs Dam in 1983, the lake provides for flood control, irrigation and recreation. When full, the lake has a surface area of more than 2,700 acres and 50 miles of shoreline, forming the perfect setting for a wealth of recreational activities. We invite you to hike, swim, ride, boat, camp, fish, or hunt at our beautiful lake. Background: This narrow, meandering lake is cloaked by redwoods, firs and oaks that are home to many birds and small mammals. Egrets and other wading birds are common in the coves. Feral pigs can be seen on the hillsides. Wintering bald eagles are common, especially near the Warren Springs Hatchery ponds where salmon and steelhead are raised. Visitor Center. Visitor Center displays exhibits on Native Pomo Indian culture. The Habitat: Scores of coves and narrow fingers create habitat for egrets, herons, and coromorants. CDFW's hatchery spawns salmon and steelhead; watch for birds near the settling ponds. Wildlife and Where to Find It: Birds of prey are seen year-round. Bald eagles are common in winter; look for peregrine falcons in spring and summer. Waterfowl and salmon are easily viewed in fall; steelhead in the spring at the hatchery. 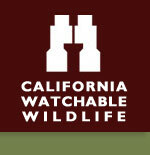 Site includes an 8,000-acre wildlife area managed by CDFW. Viewing Tips: Viewing is best by boat, on foot, or horseback for lake wildlife. Special Tips: Hikers, mountain bikers and horseback riders will delight in the beautiful areas open for exploration. Trails are closed to bikes and horse travel during the wet season, generally from November through April. A detailed brochure on the trail system is available at the visitor center. The U.S. Army Corps of Engineers operates Liberty Glen drive-in campground at Lake Sonoma on a reservations only basis. Reservations for standard sites and the camping cabin can be made the day of arrival and up to six months in advance through Recreation.gov website or by phone at: 1-877-444-6777. Reservations for the group sites can be made up to 12 months in advance. Take the 101 North to the Dry Creek Road exit. (Drive time: one and half hours). At the bottom of the exit make a left onto Dry Creek Road. Take Dry Creek Road about 12 miles continuing straight through both stop signs. Dry Creek Road turns into Skaggs Springs Road where Lake Sonoma is located. Take the 101 South to the Dutcher Creek Road exit. (Drive time: one hour). At the bottom of the Dutcher Creek Road exit make a right. When you come to the stop sign make a left onto Dutcher Creek Road. At the end of Dutcher Creek Road, make a right onto Dry Creek Road. Dry Creek Road turns into Skaggs Springs Road where Lake Sonoma is located.